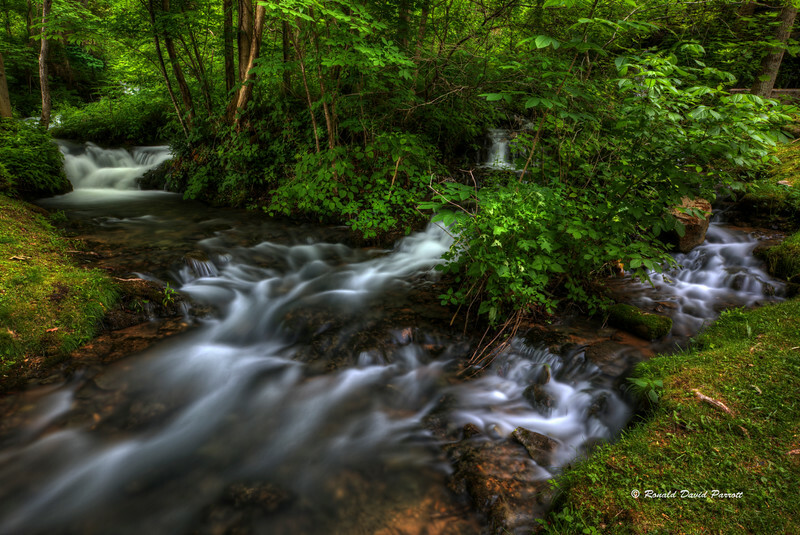 This is a portion of Mill Springs Cascades at Mill Springs State Park in Wayne County, Kentucky. This easily accessible view is right beside a historic mill, and close to the parking lot. It is a popular background for special events photos for proms, graduation, senior photos, and etc. Soon after the water leaves this spot it takes a plunge over the beautiful Mill Springs Falls to reach Lake Cumberland. The falls are shown in another photo in this gallery.